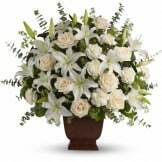 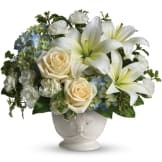 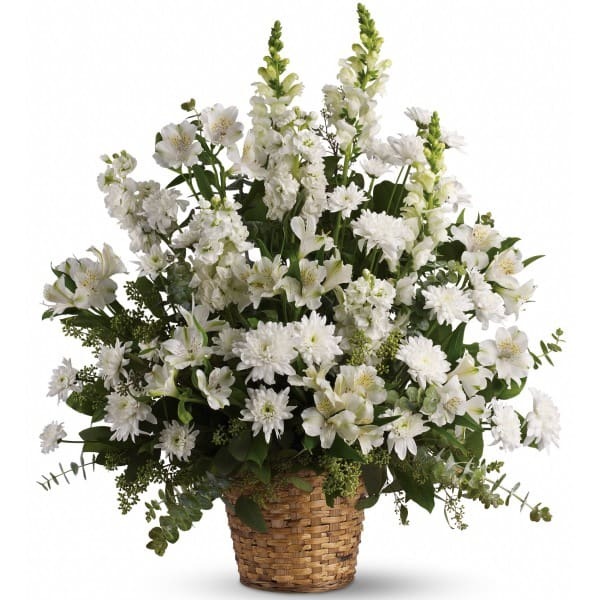 White roses and white lilies in a beautiful basket is a gift of caring that brings an air of serenity to the memorial service. 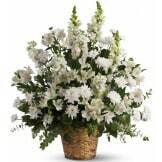 Later, it will be a comfort to the family at home. 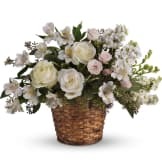 • This all-white arrangement includes alstroemeria, snapdragons, stock, cushion spray chrysanthemums, and accented with salal and eucalyptus. 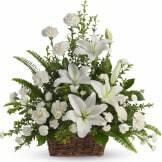 • Measures approximately 25 1/2" W X 28 1/2" H.
Flowers will be received by a Millard Family Chapels, Inc.'s staff. 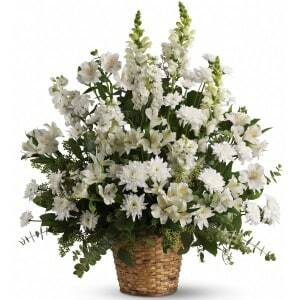 All of our flowers are designed and delivered by hand from a local florist in in Columbia.